Step 1: Open your RAW image in Lightroom or ACR. The original “super-color” D700 infrared image converted in Lightroom with default settings looks too orange. By using a custom profile I created in the DNG Profile Editor, I can get the blue hues in foliage. Thanks for this! You just made my day! Thank you Jason for tis video. I will be purchasing the video on infrared and lightroom use. My question is- can I use the profile you described here, or create a preset- to automatically apply these white balance changes whenever I initially import infrared images into my library from the get-go? 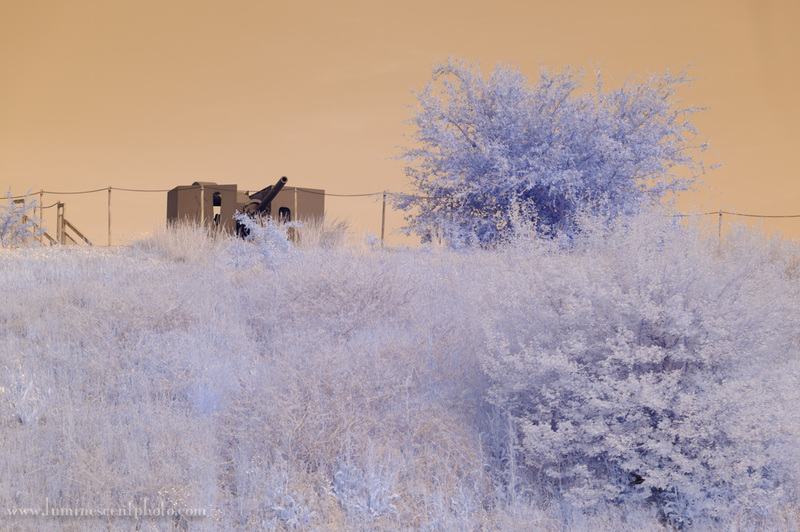 Also, If I use a higher 890nm filter on my color converted camera- will it work differently? Once you create the calibration preset, you can set up Lightroom to use it as the default settings for your infrared camera. Thanks so much for this Jason. Much needed. I’ve been doing this like a charm but have since read that using LR/PS to set white balance is a “third party” way to do it and the first party way to do it is using the native software. I have a Nikon so mine would be Nikon NX2. Thoughts on this? You can set WB in native software using the WB tools. If you do that, you need to then save a TIFF version to use in Photoshop or whatever other editor you plan to go to. NX2 is not supported any longer, so be aware of that. The reason I do it in LR is because a) it works fine and b) I don’t need to run two different workflows. Hi, Bit late to the meeting on this but I have question. “With all the updates to the Adobe software why is not possible to just do all this in Lightroom rather than going via another Adobe option of the Profiler”? You can convert as you no all images to DNG if you want to do so during import to Lightroom. Would have thought the boffins at Adobe would have got round the 2000 mark on W/B if they already have it available in the DNG converter? This procedure ONLY works from a RAW file. You can’t use JPEGs for it.